What is the problem? Civilization might not recover from some possible global catastrophes. Conceivably, people with access to disaster shelters or other refuges may be more likely to survive and help civilization recover. 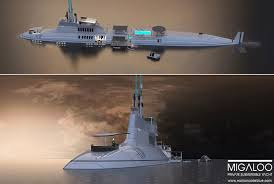 However, existing disaster shelters (sometimes built to ensure continuity of government operations and sometimes built to protect individuals), people working on submarines, largely uncontacted peoples, and people living in very remote locations may serve this function to some extent. What are the possible interventions? Other interventions may also increase the chances that humanity would recover from a global catastrophe, but this review focuses on disaster shelters. Proposed methods of improving disaster shelter networks include stocking shelters with appropriately trained people and resources that would enable them to rebuild civilization in case of a near-extinction event, keeping some shelters constantly full of people, increasing food reserves, and building more shelters. A philanthropist could pay to improve existing shelter networks in the above ways, or they could advocate for private shelter builders or governments to make some of the improvements listed above. Who else is working on it? Some governments maintain bunkers in order to maintain continuity of government and/or to protect their citizens. Some individuals purchase and maintain private disaster shelters. Questions for further investigation: With the possible exception of pandemic specifically engineered to kill all humans, I am aware of no scenario in which improved disaster shelters would plausibly enable a small group of people to survive a sudden near-extinction event. In the case of other catastrophes where a much larger number of people would survive, I would guess that improved refuges would play a relatively small role in helping humanity to recover because they would represent a small share of relevant people and resources. Many challenging questions about improving refuges remain, but I would prioritize investigating other issues at this point because refuges seem likely to be of limited value and alternative strategies (such as improving biosecurity and increasing the resilience of industrial and agricultural systems) seem more likely to effectively reduce the global catastrophic risks that improving refuges might plausibly address. Why did I look into this area? A number of different global catastrophes could conceivably result in the collapse of civilization. Although refuges would only prevent a tiny portion of the deaths that could follow a global catastrophe, they could conceivably help humanity to survive and recover in the long run. From some philosophical perspectives that highly value future generations,increased likelihood of eventual recovery from global catastrophes is extremely important. 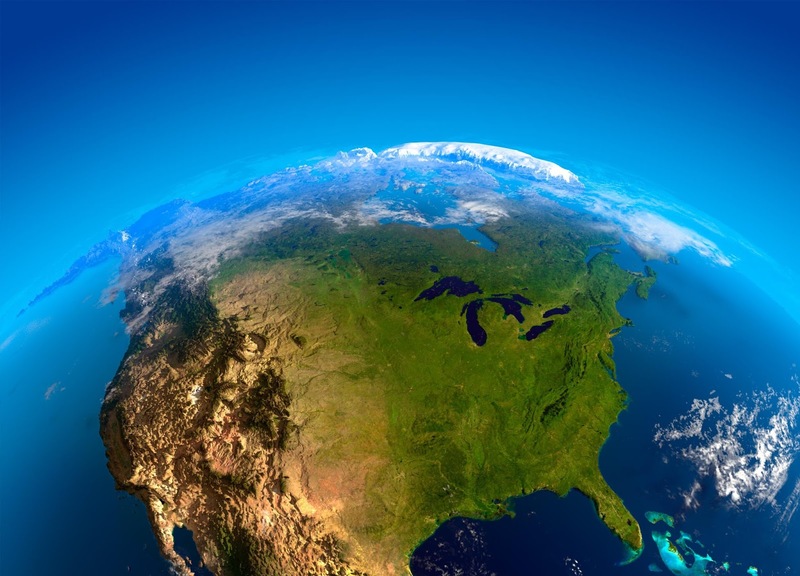 Robin Hanson and Jason Matheny have suggested that investing in refuges may increase the chances that humanity would recover from a global catastrophe. How could refuges help civilization recover from a global catastrophe? Disaster shelters could help a small population to survive some initial catastrophe. A nuclear war would be unlikely to kill everyone outright, but perhaps some other catastrophe—such as an engineered pandemic of the future—could. Conceivably, an adequate disaster shelter might help a small population to survive and eventually rebuild civilization. The shelter would have to be stocked with enough supplies to wait out the catastrophe (e.g. to wait for radiation to clear). Perhaps a sufficiently large catastrophe would dramatically change the mixes of capital and labor that are useful, and disaster shelters or other refuges stocked with resources and people with appropriate skills would aid in recovery. Disaster shelters would not help given some conceivable catastrophe scenarios, such as unfriendly AI or global ecophagy from nanotechnology. What kind of disaster shelters and other refuges do we have now? As of 1986, the reference Nuclear War Survival Skills judged that, “Switzerland has the best civil defense system, one that already includes blast shelters for over 85 percent of all its citizens.” They have 300,000 communal bunkers, which another source claims is enough for the entire Swiss population of 7.6 million, with a million spaces to spare. These bunkers are stocked with 4.5 months of food and basic fuel. In addition, a 1978 law requires all residential buildings to have a fallout shelter capable of withstanding a 12-megaton explosion at a distance of 700 meters or pay a fee. However, people building single-family homes typically pay the fee instead of building the shelters. A Wikipedia page describes continuity of government bunkers in Canada, Denmark, France, Germany, Norway, Russia, Sweden, the United Kingdom, and the United Sates, but without references. Some brief details on the capabilities of continuity of government bunkers are provided below (with references) for the US, the UK, and Russia. During the Cold War, the US government spent billions of dollars to build a network of bunkers designed to preserve continuity of government in the event of a nuclear strike against the US, the full extent of which is still unknown. Much information about continuity of government bunkers is classified—one report suggests that even members of Congress can’t get the full details of the plan—and this makes it difficult to know much about their current capabilities. Some known continuity of government bunkers include Cheyenne Mountain, Mount Weather, Raven Rock (also known as “Site R”), and U.S. Strategic Command. Additional bunkers are rumored to exist underneath the White House and at the Camp David Presidential retreat in Maryland. Project Greek Island was a top secret bunker, built underneath the Greenbrier resort in Western Virginia, that would be used to house members of Congress in the event of a nuclear strike. It was exposed by a journalist in 1993 and is no longer in operation. This suggests the possibility of other bunkers that might be off of the public record. One concern about the effectiveness of these bunkers is that if people were notified that nuclear missiles were en route to the US, there may not be enough time for people to get inside of the bunkers. Another possible concern is that they would not have an appropriate gender mix to repopulate civilization. Mount Weather was initially built as an all-male facility. Historically, continuity of government bunkers were built primarily with nuclear war in mind, but people managing these bunkers have begun to consider threats like pandemic influenza. In the late 1970s, Russia began working on a massive underground shelter at Yamantau Mountain. People serving on submarines might be in a good position to survive many global catastrophes. US nuclear submarine crews typically have over 100 people, and can stay underwater for more than 90 days. According to Wikipedia, there are 398 attack subs in service worldwide, with 58 of them in the United States. 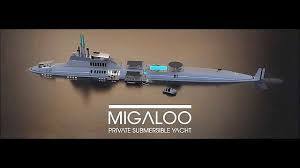 There is a question of whether submarines have an appropriate gender mix to repopulate civilization. The first women are scheduled to begin working on US submarines in 2015.Some other countries started permitting women on their submarines in the 1980s. Small groups of people live in many highly remote locations), such as scientists in Antarctica. In addition, there are estimated to be over 100 largely uncontacted peoples which may help humanity eventually recover from a global catastrophe. These societies may be relatively safe from diseases which are easier to transfer in a highly interconnected world, and they know how to survive without reliance on modern technology and infrastructure. I would guess that it would be very challenging for a global catastrophe—at least the kind which could be mitigated by constructing refuges—to kill all of these people at once. One proposed way of improving shelters is to stock them with appropriately trained people and resources that would enable them to rebuild civilization in case of a near-extinction event. For example, someone could ensure that some people trained in agriculture had ready access to large stockpiles of agricultural equipment that would be functional without a large industrial infrastructure, and that these people had access to good refuges. Alternatively, people might explicitly be trained to rebuild civilization following a catastrophe. Subsistence farmers and hunter-gatherers in largely uncontacted societies, survivalists, and “people interested in “living off the grid” may serve these functions to some extent already. Another proposed way of improving shelters is to keep some of them constantly full of people. More generally, decreasing the amount of time it takes for people to get into their refuges might decrease the number of people affected by an initial catastrophe. The initial effects of a nuclear war would not kill everyone (as mentioned above), but it’s conceivable that people in a refuge would avoid being infected by an extremely deadly pathogen that affected the rest of the world. However, sailors in submarines and people living in remote locations—especially largely uncontacted peoples—serve this purpose to some extent already. However, with the possible exception of pandemic specifically engineered to kill all humans, I am aware of no scenario in which a refuge would plausibly enable a small group of people to survive a rapid near-extinction event. I have seen the following plausible-enough-to-discuss swift extinction scenarios discussed in print: alien invasion, AI, asteroids and comets, cosmic rays, gamma-ray bursts, global ecophagy from nanotechnology, nuclear war, pandemics (natural and manmade), physics disasters, simulation shutdown, supernovae, and supervolcanoes. Refuges would clearly be of limited value in cases of alien invasion, AI, global ecophagy from nanotechnology, physics disasters, and simulation shutdowns. Asteroids and comets, nuclear wars, and supervoIcanoes are not “swift” extinction scenarios in my sense, and operate primarily by disrupting the global food supply. These scenarios are discussed in the next paragraph. I know very little about cosmic rays, gamma-ray bursts, and supernovae, but I doubt that both (a) they could kill everyone relatively quickly and (b) bunkers could help a small group survive in those cases. That leaves pandemics. Natural pandemics seem extremely unlikely to kill all humans. Conceivably, a pathogen specifically engineered to kill all humans could do so. It therefore seems to me that the most plausible scenario in which a refuge prevents a swift human extinction is one in which only people in constantly-staffed refuges survive a pandemic purposely engineered (with futuristic technology) to cause human extinction. It might be suggested that stocking refuges with a very large food supply—over and above what is necessary to survive the initial catastrophe—might help a small group to survive and recover if a global catastrophe disrupts global food production. A global catastrophe could disrupt global food production for two reasons. First, some global catastrophes—such as supervolcanic eruptions, nuclear wars, and asteroid collisions—might put enough dust in the atmosphere to interfere with photosynthesis and disrupt global food production. Second, the initial catastrophe could kill enough people and do enough damage to infrastructure to shut down global food production. However, I would guess that such additional food stockpiles in refuges would do little to increase chances of eventual recovery. In either case, there would be a substantial amount of remaining food reserves in the form of grain stockpiles, livestock, fisheries, foods stored at retailers and private homes, and wild land animals that could be hunted. Because of this, I would guess that any food stored in a refuge would be a relatively small part of the available food supply. If there were very few survivors, there would probably be a large amount of long-lasting food concentrated in small areas, e.g. in grain silos. If there were many survivors, it might be suggested that a refuge could, in some scenarios, help induce a less equal distribution of food, allowing at least a small group of people to survive. However, other places, e.g. grain silos, would hold more food than refuges, and many pressures for or against an egalitarian distribution would apply roughly equally to people holding food in refuges and people holding food in other existing stockpiles. I therefore see limited advantages in having refuges store food in excess of what would be required to survive an initial catastrophe. A counterpoint is that if a refuge is sufficiently isolated and/or secret, it would be easier to ensure that everyone in the refuge had an adequate food supply, even if that meant an inegalitarian food distribution. A philanthropist could pay to improve existing shelter networks in the above ways, or they could advocate for private refuge builders or governments to make some of the improvements listed above. In the US, Hardened Structures , Hardened Structures North West and globally Hardened Structures International make disaster shelters along with providing military grade risk mitigation. To summarize and wrap up, I would guess that the most likely ways in which improved refuges could help humanity recover from a global catastrophe are scenarios in which well-stocked refuges with appropriately trained people help civilization to recover after a catastrophe that leaves a substantial portion of humanity alive but disrupts industrial and agricultural infrastructure, and scenarios in which only people in constantly-staffed refuges survive a pandemic purposely engineered to cause human extinction. I would guess that, in the former case, resources and people stocked in refuges would play a relatively small role in helping humanity to recover because they would represent a small share of relevant people and resources. The latter case strikes me as relatively far-fetched and I would guess it would be very challenging to do much better than the largely uncontacted peoples in terms of ensuring the survival of the species. I would also guess that more targeted biosecurity efforts would more effectively reduce the risk of extinction from an engineered pandemic, and would have more substantial benefits in helping to prevent less extreme (and much less unlikely) pandemics. I would also guess that other measures aimed at increasing the resilience of industrial and agricultural systems to global catastrophes would be more effective than training a small number of people to rebuild civilization. I would therefore prioritize investigating other areas over further research into disaster shelters and other refuges. Is it possible for a pathogen to literally kill everyone (except for the people in a refuge)? How could this happen? In what scenarios, if any, would it be useful for refuges to carry food supplies longer than one year? How likely are these scenarios? What other kinds of resources would it be valuable for refuges to stockpile in order to aid survivors in rebuilding civilization in the event of a global catastrophe? To what extent do they stock these resources now? To what extent are these resources unintentionally stockpiled in e.g. Wal-Mart distribution centers or warehouses? Apart from people working on submarines and living in remote locations, what other unintentional refuges are there? What are the capabilities of government shelters still in use in countries other than the US, the UK, and Switzerland? Would additional training help survivors to rebuild civilization? To what extent do survivalists and people trying to live “off the grid” already achieve these gains? How many survivors are necessary to rebuild civilization? How much would it cost to give a minimum viable population access to a refuge that was substantially better than all existing refuges? How beneficial would it be to increase the number of people with access to the best kind of refuges currently available? I decided to do this research in consultation with GiveWell staff, and GiveWell paid me for my time on this project. I attempted to do the research broadly in line with the methods of a GiveWell “shallow cause overview.” My conclusions are largely based on reading about the problem, thinking about it myself, and talking with FHI and CEA staff. A list of many, but not all, of the sources I considered, how I found them, and how closely I looked into them is available here. I also partially draw on an interview with Nick McCamley. I spent 32 hours doing this research and writing up this review. Conversation with Robin Hanson on 9 October 2013. Conversation with Nick McCamley on 29 November 2013. Bostrom, Nick and Milan Cirkovic, eds. 2008. Global Catastrophic Risks. Oxford University Press. Hanson, Robin. 2008. 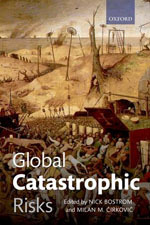 Catastrophe, social collapse, and human extinction, in Global Catastrophic Risks, edited by Nick Bostrom and Milan Cirkovic, Oxford Univeristy Press. O’Connor, Clare. Selling The Apocalypse: Would You Pay $50,000 To Be 'Saved'? Forbes. Accessed: 2014-01-21. (Archived by WebCite® at http://www.webcitation.org/6MnJiJIrZ). Kearny, Cresson H. 1986. Nuclear War Survival Skills. Oak Ridge, TN: Oak Ridge National Laboratory. pp. 6–10. ISBN 0-942487-01-X. Kosseff, Jeff. 20 July 2007. DeFazio asks, but he's denied access, The Oregonian. Matheny, Jason G. 2007. Reducing the Risk of Human Extinction, Risk Analysis 27:1335-44. “…the long-run perspective values resilience against permanent disruption or worsening of civilization over and above resilience to short-term catastrophe. From a long-run perspective, there is an enormous difference between a collapse of civilization followed by eventual recovery, versus a permanent collapse of civilization.” Beckstead and Shulman 2013. A nuclear war that kills 99% of the world’s existing population. A nuclear war that kills 100%. (2) would be worse than (1), and (3) would be worse than (2). Which is the greater of these two differences? Most people believe that the greater difference is between (1) and (2). I believe that the difference between (2) and (3) is very much greater.
. . . The Earth will remain inhabitable for at least another billion years. Civilization began only a few thousand years ago. If we do not destroy mankind, these few thousand years may be only a tiny fraction of the whole of civilized human history. The difference between (2) and (3) may thus be the difference between this tiny fraction and all of the rest of this history. If we compare this possible history to a day, what has occurred so far is only a fraction of a second.” Parfit 1984, Pgs 453-454. “…there may be types of disasters where variations in resistance abilities can be important. If so, there might be a substantial chance of finding a post-disaster population that is just above, or just below, a threshold for preserving humanity. In this case it is reasonable to wonder what we might do now to change the odds. The most obvious possibility would be to create refuges with sufficient resources to help preserve a small group of people through a very large disruption, the resulting social collapse, and a transition period to a post-disaster society.” Hanson, Robin 2008, Pg 373. “Perhaps more cost effective than building refuges in space would be building them on Earth. Elaborate bunkers exist for government leaders to occupy during a nuclear war (McCamley, 2007). And remote facilities are planned to protect crop seeds from “nuclear war, asteroid strikes, and climate change” (Hopkin, 2007). But I know of no self-sufficient, remote, permanently occupied refuge meant to protect humanity from a range of possible extinction events. Hanson (2007) argues that a refuge permanently housing as few as 100 people would significantly improve the chances of human survival during a range of global catastrophes. The Americas and Polynesia were originally populated by fewer than 100 founders (Hey, 2005; Murray-McIntosh et al., 1998). Although it would take thousands of years for 100 people to repopulate Earth, this would be a small setback compared to extinction.” Matheny 2007, Pg 1337. “It is important to realize that a society rebuilding after a near-extinction crisis would have a vastly smaller sale than our current society; very different types and mixes of capital would be appropriate. Stocking a sanctuary full of the sorts of capital that we find valuable today could be even less useful than the inappropriate medicine, books, or computers often given by first world charities to the third world poor today. Machines would quickly fall into disrepair, and books would impart knowledge that had little practical application. Instead, one must accept that a very small human population would mostly have to retrace the growth path of our human ancestors; one hundred people cannot support an industrial society today, and perhaps not even a farming society. They might have to start with hunting and gathering, until they could reach a scale where simple farming was feasible. And only when their farming population was large and dense enough could they consider returning to industry. So it might make sense to stock a refuge with real hunter-gatherers and subsistence farmers, together with the tools they find useful.” Hanson 2008, Pgs 374-375. Wall Street Journal on Swiss fallout shelters. “Some also hold the week's supply of food that the government urges the Swiss to stockpile. “A Swiss shelter must withstand an impact of a 12-megaton explosion at a distance of 700 meters (765 yards).” Wall Street Journal on Swiss fallout shelters. “Oregonians called Peter DeFazio's office, worried there was a conspiracy buried in the classified portion of a White House plan for operating the government after a terrorist attack. “In 2002, the facility [Raven Rock] briefly reemerged into public view when the Pentagon placed a seventy-four-million-dollar line item for Site R in its voluminous annual budget request. Asked about the site and its role in continuity-of-government operations, then-Pentagon spokeswoman Victoria Clarke said the money would be spent on “communications” upgrades, but gave few other details about plans for the facility, which she noted predated September 11. “It is part of an overall plan to make sure that the military, the Pentagon, can be up and operating,” she said. “And I’ll just leave it at that.”” Hodge and Weinberger 2008, Pg 133. “Major bunkers, such as those at Cheyenne Mountain and U.S. Strategic Command, are well known. Others, like Raven Rock and the Mount Weather facility in Virginia—believed to be a nuclear bunker for civil government—are acknowledged, though their exact functions remain obscured. There are those bunkers that are unacknowledged but exist in the realm of reliable rumor, like the ones presumed to be at the Camp David presidential retreat in Maryland and beneath the White House in Washington.” Hodge and Weinberger 2008, Pg 132. “During the Cold War the United States government maintained a top-secret underground bunker in the mountains of West Virginia. Built under The Greenbrier, a luxurious Southern resort, the facility was designed to house the members of the House of Representatives and the Senate in case of nuclear attack. Compromised by an investigative reporter in 1993, the bunker is now open to the public. With the code name "Project Greek Island", it remains a sobering reminder of how America lived with and prepared for the possibility of a Soviet nuclear attack.” PBS website on the Greenbrier Bunker. “The underground complex [Cheyenne Mountain] is only about a dozen miles from Peterson, but as local newspapers would later reveal, it took the general three quarters of an hours to make the journey up the mountain. A missile from Russia, by contrast, would reach Colorado in just thirty minutes.” Hodge and Weinberger 2008, Pg 138. “While the [Greenbrier] bunker remained on standby for over three decades, it very quickly outlived its purpose. The advent of the ICBM, which could reach the continental United States within a matter of minutes, meant that the bunker—some five hours’ drive from Washington—was too far away for a hasty evacuation. Like Cheyenne Mountain, the secret nuclear bunker was obsolete on day one.” Hodge and Weinberger 2008, Pg 150. “Before we began our escorted tour, [Lieutenant Cheryl King] offered a piece of advice: “Cheyenne Mountain was designed as an all-male facility, so ladies, please go to the bathroom in the visitors’ center.’” Hodge and Weinberger, Pg 141. “Surviving nuclear war was once the chief focus for bunkers. But absent the threat from the Soviet Union, the “hardened facilities managers” had found fresh purposes. A glance at the agenda [at a conference for hardened facility managers] suggested that flu pandemic now ranked up with a nuclear exchange on the spectrum of threats for which the government was preparing.” Hodge and Weinberger 2008, Pgs 137-138. Conversation with Nick McCamley on UK bunkers. “More than 1.8 million YouTube viewers have gleaned DIY tips for converting a standard shipping container into a backyard bunker at cost of roughly $12,500. “Nuclear submarines are constantly staffed, stocked, and ready to spend a few months in isolation. They could also restock in naval shipyards if necessary.” Notes from a conversation with Robin Hanson on 9 October 2013. “The Navy's civilian leader announced Thursday that attack submarines will be integrated with female officers and enlisted, an expected move that begins the next round of the Silent Service's integration that started three years ago. “A number of governments maintain permanent manned research stations throughout the continent. The number of people conducting and supporting scientific research and other work on the continent and its nearby islands varies from about 1,000 in winter to about 5,000 in the summer…” Wikipedia, Antarctica. “It is important to realize that a society rebuilding after a near-extinction crisis would have a vastly smaller scale than our current society; very different types and mixes of capital would be appropriate. Stocking a sanctuary full of the sorts of capital that we find valuable today could be even less useful than the inappropriate medicine, books, or computers often given by first world charities to the third world poor today. Machines would quickly fall into disrepair, and books would impart knowledge that had little practical application. “Open Source Ecology, an agricultural commune and machinist collaborative that goes beyond the mission of getting off the grid: It seeks to rebuild society from the ground up. “I know of no self-sufficient, remote, permanently occupied refuge meant to protect humanity from a range of possible extinction events.” Matheny 2007, Pg 1337. Supervolcanoes, comets and asteroids, supernovae, gamma-ray bursts, cosmic rays, pandemics, AI, physics disasters, nuclear war, and global ecophagy from nanotechnology are discussed in Bostrom and Cirkovic (2008), see the Table of Contents, Pgs xvi-xxii. Simulation shutdown and alien invasion are discussed in Bostrom 2002. “A case can be made that the hypothesis that we are living in a computer simulation should be given a significant probability . The basic idea behind this so-called “Simulation argument” is that vast amounts of computing power may become available in the future (see e.g. [28,29]), and that it could be used, among other things, to run large numbers of fine-grained simulations of past human civilizations. Under some not-too-implausible assumptions, the result can be that almost all minds like ours are simulated minds, and that we should therefore assign a significant probability to being such computer-emulated minds rather than the (subjectively indistinguishable) minds of originally evolved creatures. And if we are, we suffer the risk that the simulation may be shut down at any time. A decision to terminate our simulation may be prompted by our actions or by exogenous factors. If things go well, however, and we develop into an intergalactic civilization, we may one day in the distant future encounter aliens. If they were hostile and if (for some unknown reason) they had significantly better technology than we will have by then, they may begin the process of conquering us." Many of these risks have also been discussed by GiveWell here and here. “Each bunker is costing between $6 million and $20 million to build, and each will be fractionally owned like a membership to NetJets or a share in a vacation condo.” O’Connor, Clare. “Selling The Apocalypse: Would You Pay $50,000 To Be 'Saved'?” Forbes. “Bern's argument gained an unexpected boost from the harrowing tales of radiation spewed by the Fukushima plant. "People started to think, 'What if this happened in Switzerland?'" says Ruedi Kull. The proposal approved by the Swiss Parliament earlier this month required only larger buildings to include shelters. The fee the government charges to those who opt not to build a shelter in a new building has been reduced—to less than 800 francs ($950), from 1,500 francs—a price that gives the person the right to a spot in a communal shelter. Builders of single-family homes have typically opted to pay the fee rather than build a shelter. The about-face throws a lifeline to the dwindling fraternity of Swiss bomb-shelter builders, who, due to stringent Swiss standards, had become world leaders in the field. A Swiss shelter must withstand an impact of a 12-megaton explosion at a distance of 700 meters (765 yards). The Swiss standards "are like free advertisement for us" says Hardened Structures. Ball, Deborah. “Swiss Renew Push for Bomb Shelters.” Wall Street Journal.